Kids born in the year 2000, will be teenagers next year. Wristbands Are For Your Forehead! 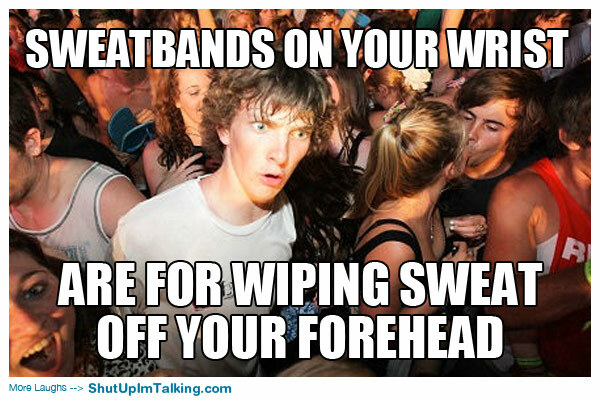 Sweatbands on your wrist, are for wiping sweat off your forehead. Hypochondria, is the only illness hypochondriacs won’t think they have. If all clocks turn digital, how will we know what clockwise and counterclockwise are? Car Is Short For Something?! The word “car” is short for carriage. Cosmo gives bad dating advice, so there are more single women to buy their magazines. People in Alaska use fridges to keep food from freezing. Disneyland is a giant people trap, run by a mouse. If tomatoes are fruits, does that make ketchup a smoothie?